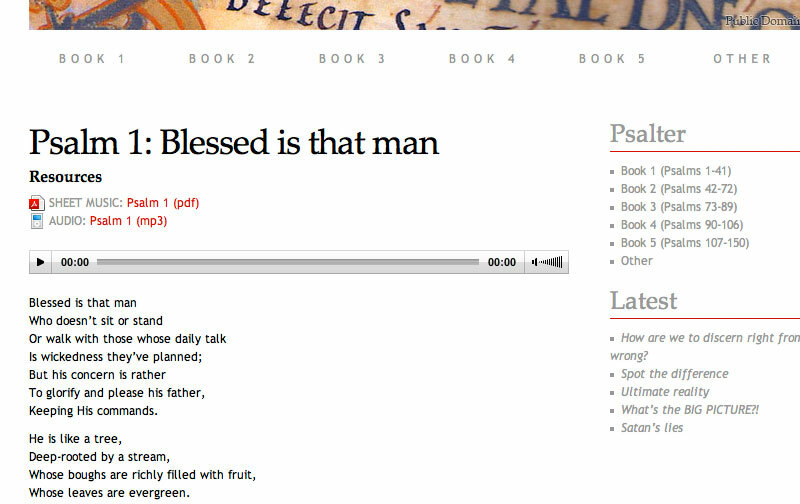 This existing client wanted a way for site visitors to quickly listen to music when visiting the website. 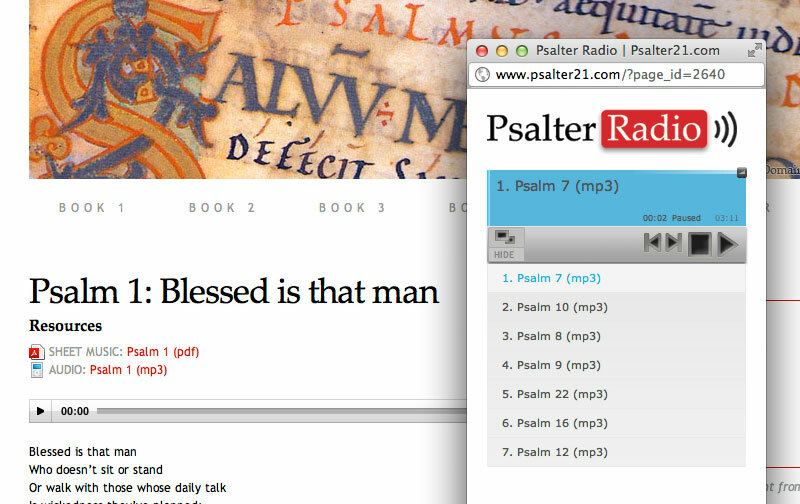 The solution I came up with was an easy-to-use ‘Psalter21 Radio’ feature that randomly picks songs from those available on the site. As part of this project I also improved the existing audio streaming to be compatible across mobile devices including those without Flash functionality such as iPhones and iPads.